The Quarter Card is a plastic card which provides a convenient means for carrying extra coins. The same size as a credit card, it can be carried in a wallet, or anywhere one wishes to keep extra change- a pocket, purse, briefcase, desk drawer, or glove compartment. Customers will love the usefulness of the Quarter Card. 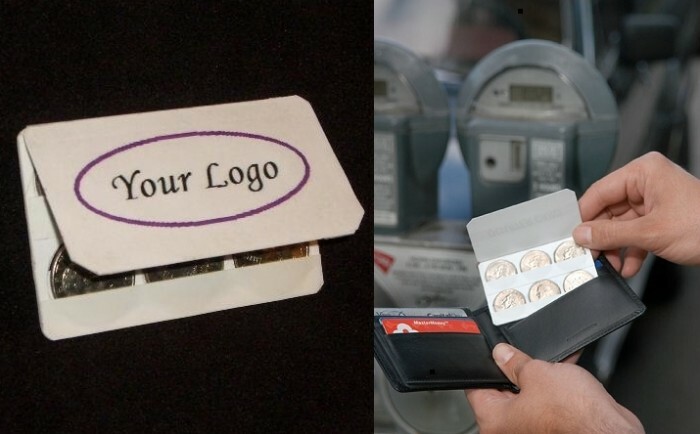 Conveniently carried alongside credit cards, or in a pocket or purse, one can always have coins available for parking meters, vending machines, newspapers, public transportation, or just any small purchase. (See photos below). 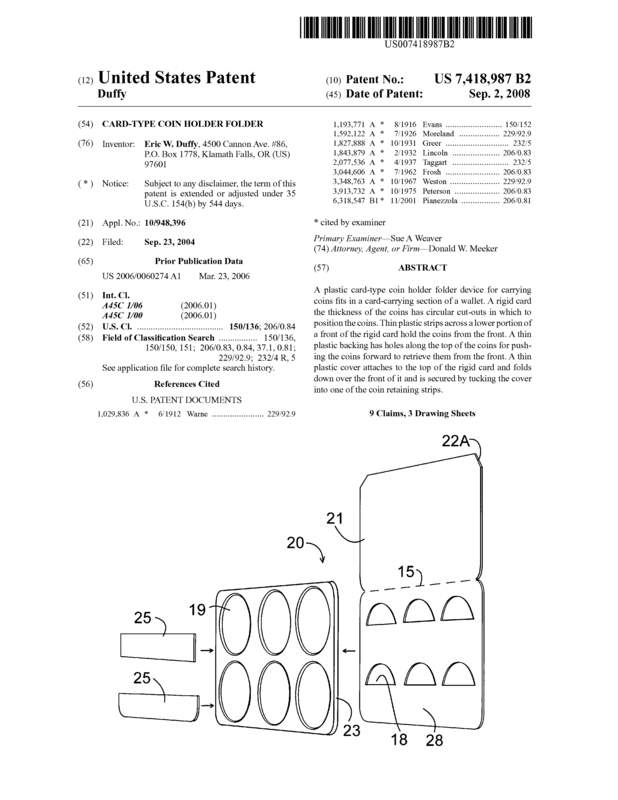 Page created at 2019-04-24 18:36:04, Patent Auction Time.